The Escape Branson is Branson’s new attraction which offers players a fun live escape game. This new simple game is designed for small groups of 2 to 6 players. Each player has 60 minutes to climb a mountain of puzzles and room’s mysteries. The goal of each player is to get out in time or else you are trapped inside forever. During this challenging game, players will try to find a way to escape. This family game is a brainy pulse raiser for a small group of friends or families. Use wisely the 60 minutes and 5 brains in a 200-square-foot area. The Escape Branson delivers an instant team building in a 60-minute game challenge. The team is full of creative and problem solving challenges that offer a fresh and fun game for family entertainment. If the gamers are smart for solving puzzles and cracking codes at online escape games, they need to try their skills offline, the game will definitely challenge you. Branson Escape room offers gamers two options: The Escape and Escape Code. The Escape provides a fun and exciting way to help build a challenging game for small group or youth group where each member will get to know each other and grow closer to those in your groups. 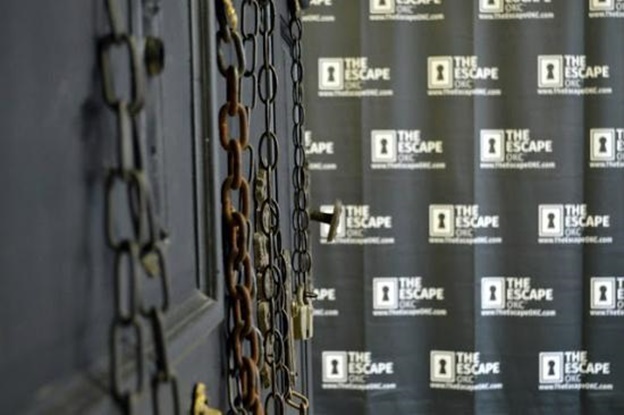 The participants in this escape room game are locked into a room and must do something with the elements of the room to escape. They need to search out the surroundings, find clues, solve puzzles, and rely on their thinking skills to come out of the room within the time frame. As you try to solve the puzzle, you need to be in contact with your fellow participants, making this game a great team-building activity for friends and families as well as companies, game enthusiasts, church groups, etc. In this game, you have to choose from the two rooms: The Four Brothers and The Forgotten Outpost. Each room has different puzzles, clues, and goals. You need to try it hard, because only 34 to 38 percent of the groups make it out in time. The Escape Code is the original Branson escape room that engages participants in a mysterious story through an elaborately themed room. The participants are required to seek out clues within 60 minutes using their critical thinking skills. This Escape Code game can have between two and eight players in the group. Even children can join in (though some rooms may be somewhat dark and eerie that may scare youngsters). Rooms are booked in advance, so be sure to make a reservation. The Escape Code game has currently two games to choose from: The Guest House and Experimental. It costs $27 per player, but you can get discounts which are available online on the company’s website. Cameras and audio are installed in both rooms, so staff can monitor each player and can provide help when necessary. So, if you are looking for an exciting game to play where you will solve puzzles and mysteries, visit Branson's new attraction, The Escape Branson.